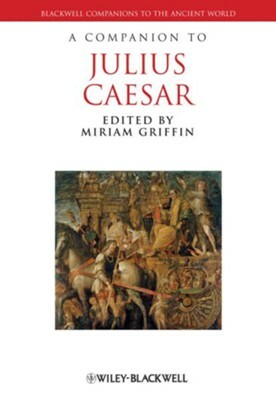 A Companion to Julius Caesar comprises 30 essays from leading scholars examining the life and after life of this great polarizing figure. Miriam Griffin is Emeritus Fellow of Classics at Oxford University. She is the author of numerous books and articles on Roman history and philosophy, including Nero (1987), Seneca: A Philosopher in Politics (1992), and Philosophia togata I & II (with Jonathan Barnes, 1991 & 1997). She was until recently editor of the Classical Quarterly. I'm the author/artist and I want to review A Companion to Julius Caesar.